Tiki cocktails are a tasty mid-twentieth-century American classic, but their popularity suffered when syrupy drink mixes hit the scene. 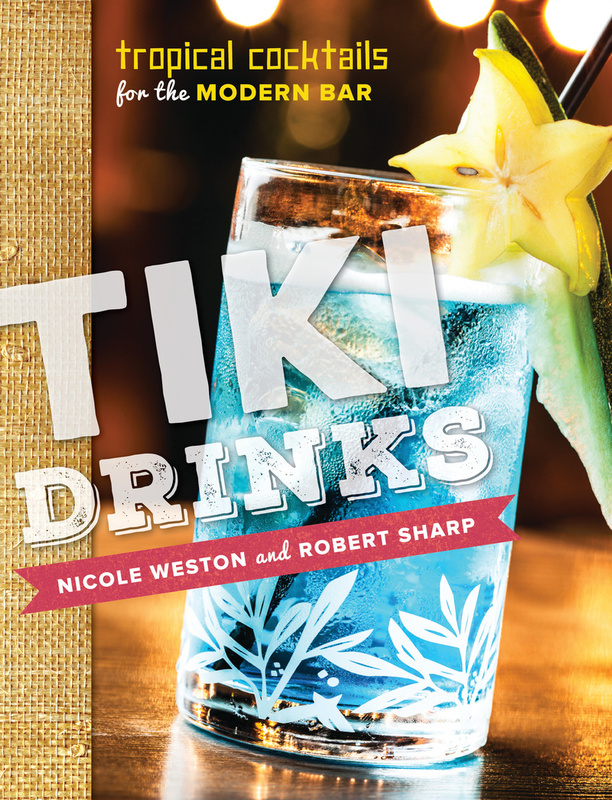 Now it's time to welcome them back: Food blogger Nicole Weston and mixologist Robert Sharp have brought back the fresh taste of tiki drinks, banishing the artificial syrupy sweetness of mixes for fresh fruit juices, high-quality spirits, and homemade syrups. They offer a taste of the past with traditional recipes that honor the flavors of the Caribbean, South Pacific, and the Hawaiian Islands that first inspired the tiki cocktail. Including original recipes inspired by Asian and South American flavors, Tiki Drinks is a hybrid of the old and the new; the concept may be vintage but the drinks are fresh. Drinks include delicious updates of Jamaican Milk punch using fresh cream of coconut, Siren's Elixir with fresh-squeezed lemon and guava juice, and a Hawaiian Queen Bee with locally sourced honey and garnished with juicy, fresh-cut pineapple. Of course, what's a tiki drink book without a little Hawaiian lore and style? Tiki Drinks has that, and much more. Robert Sharp is a Los Angeles–based mixologist and bartender with more than seventeen years of experience in the bar industry, both working behind the bar and in front of it as a consultant. Sharp also has extensive experience developing cocktail recipes for bars of all types. Nicole Weston is a food writer and recipe developer based in Los Angeles, California. She runs the popular blog Baking Bites, which focuses on recipes and baking advice for home cooks and bakers. It was named one of the 50 best food blogs in the world by the London Times and has been featured in publications such as the Washington Post, the Sacramento Bee, and People magazine. Baking Bites was also named one of the Top Food Blogs of 2013 by PBS and is included by Saveur.com on their Sites We Love list. The site attracts an average of 900,000 unique visits each month and also gets an average of more than 1,100,000 pageviews each month. The Baking Bites Facebook page has more than 12,000 likes; its Twitter account has more than 6,000 followers. Weston regularly judges various culinary competitions around the country, is a cocktail enthusiast, an avid aficionado of Tiki history, and the author of three books in the Storey Basics series: How to Make Frozen Yogurt, How to Make Ice Cream, and Vegan Frozen Treats.